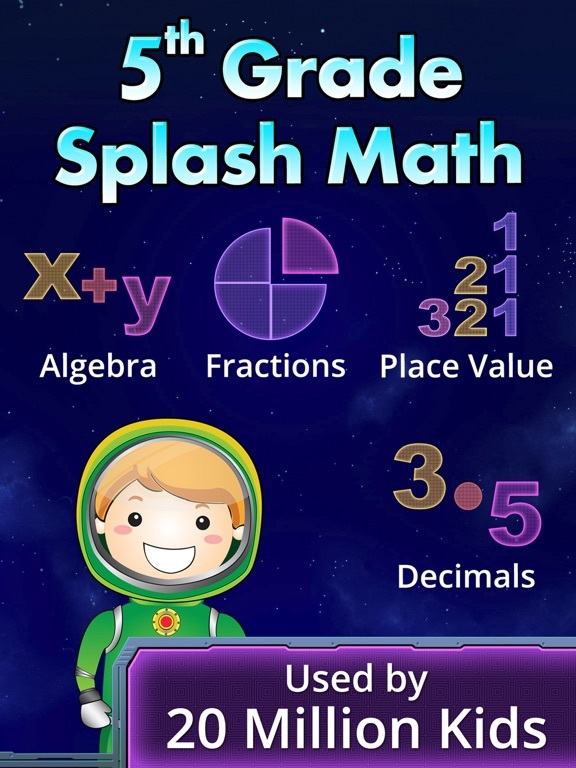 5th Grade Math: Splash Math Worksheets is another out of this world app by StudyPad. This latest addition to the Splash Math series is done in the same outer space theme as the 4th Grade Math app. 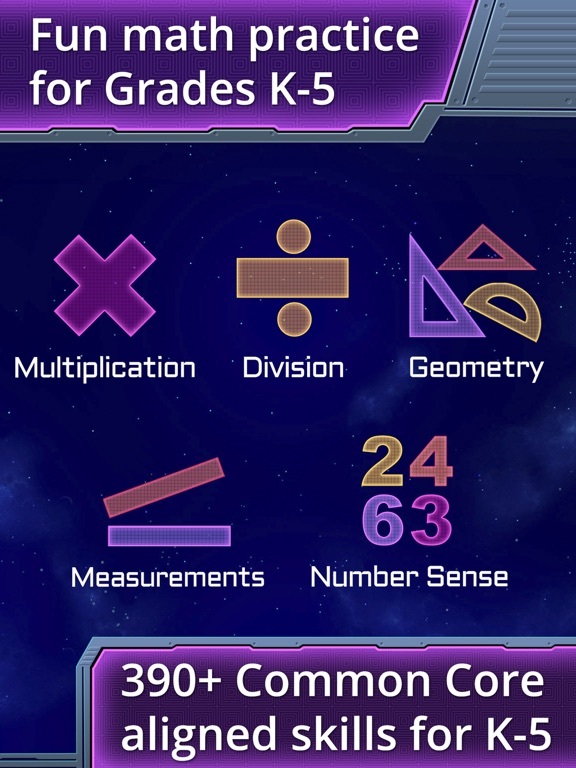 Unlike most math apps available in the App Store, 5th Grade Math contains nine chapters covering the Common Core Standards for 5th grade math; not just addition, subtraction, multiplication and division, but place values, fractions, geometry and measurement to name a few other topics. This app does not teach the math concepts, but is ideal for practicing or reinforcing the concepts your child has been introduced to. 5th Grade Math is not a gaming app where you need to also focus on controlling a spacecraft and shooting down the correct answer, but more of interactive worksheets. It’s not boring by any means. The designers have done a fabulous job in creating an environment that kids will probably forget they are supposed to be learning math concepts. Not only is this app a very cool and fun way to improve math skills, but it also has many features parents or teachers will like, too. 5th Grade Math can accommodate up to six user profiles. 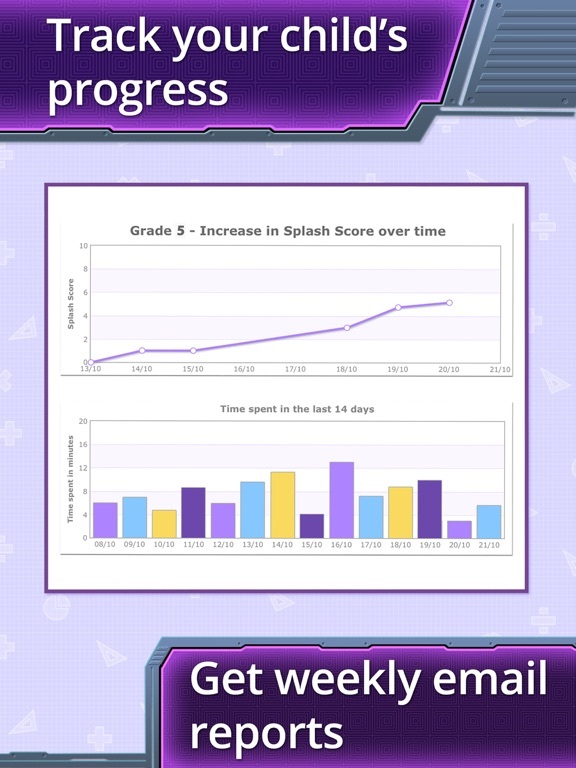 It has the capability to e-mail weekly progress reports or you can view the user’s performance summary from within the app. Homework can be assigned to each user for the specific chapters and concepts within that chapter you want them to work on. The user has the option to select a mission, which can be by chapter or by assigned homework. Music and sounds can be muted; the music only plays when a user is on the main menu; otherwise, it may be too distracting. The user receives feedback whether they answer a question correctly or not. If an incorrect answer is entered, the correct answer is shown. Scratch pad is one feature I really like in this app. While the user is working through the worksheets, a scratch pad feature is available at the touch of the button. Using your finger you can write in this area and then it is erased when you return to the math problem. A major frustration with 5th Grade Math is the attractive buttons for additional apps and for a grouping of Facebook, Twitter, etc., type links that take the user out of the app. This is a high quality app that would be worthy of a five-star rating if it weren’t for those buttons. Lastly, is the issue of cost. Some apps are easy for us to say they are reasonably priced for the amount of content or not. 5th Grade Math is one of those apps that at almost $10 may be considered by some to be on the high end; however, depending on how you intend to use the app depends on if that is money you are willing to spend. If you have a child who is struggling with math, or you want them to retain what they have learned, then its money well spent. If you would like to read 4th Grade Math, click here. Studypad, innovators in the revolution for digital education, made a super ‘splash’ with their titles, quite justifiably called the Splash Math Apps series! 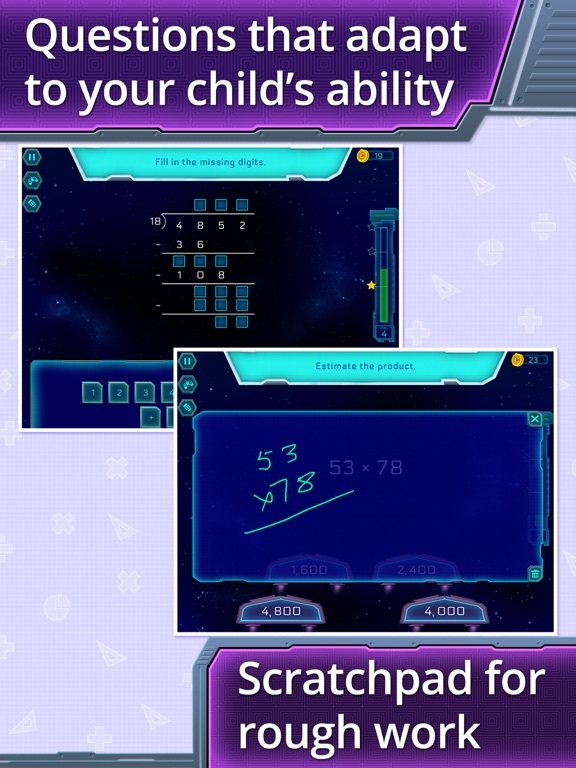 Following those footsteps, Studypad, has now introduced its 5th Grade App for children, the 5th Grade Math: Splash Math Worksheets App [HD Full]. Once again laden with a very fresh approach to the series, Grade 5 has 9 chapters covering an endless supply of problems, and is by far the most comprehensive math workbook in the app store. 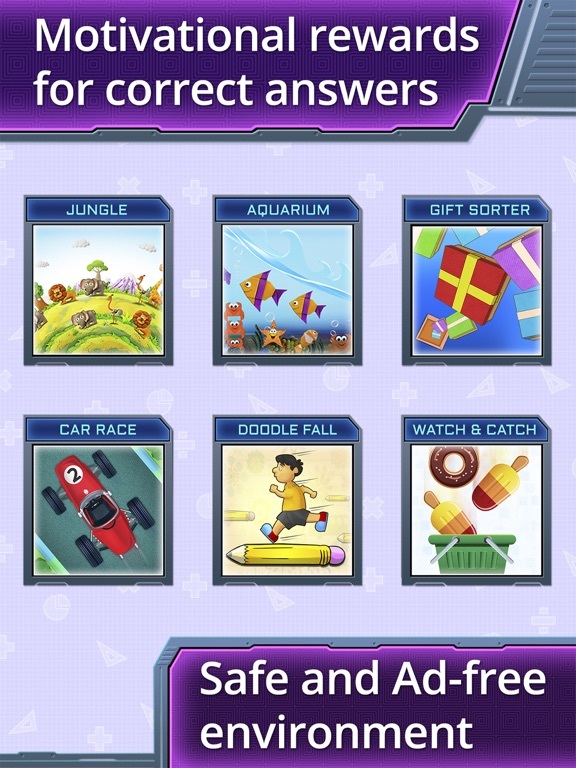 Aligned to the common core standards this app covers the following topics: Place Value, Number Sense, Algebra, Multiplication, Division, Fractions, Decimals, Measurement and Geometry.